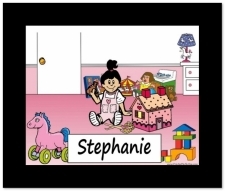 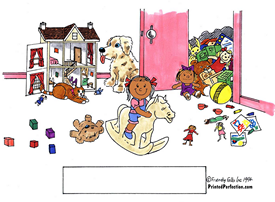 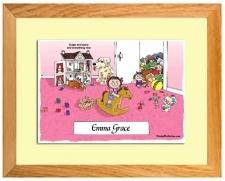 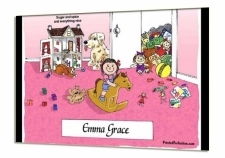 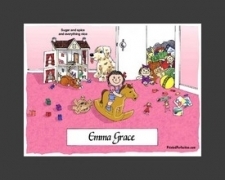 Whether you're decorating sweet peas bedroom or sending out birthday party invitations or birth announcements, this little girl cartoon is perfect for her! 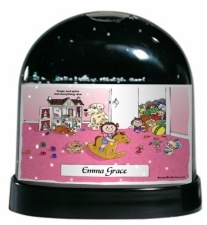 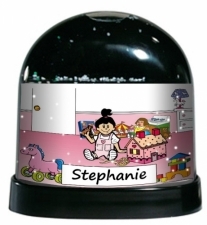 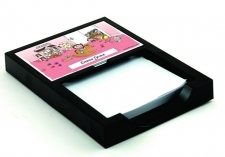 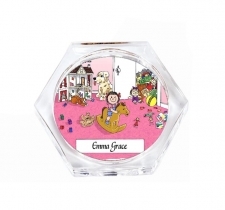 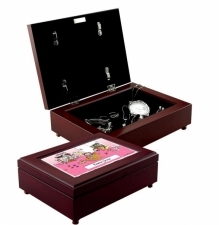 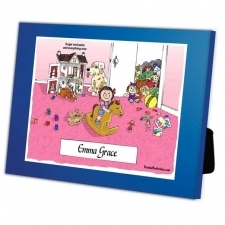 Add the family pet or her siblings and personalize it with her name or other information to create the perfect keepsake gift. 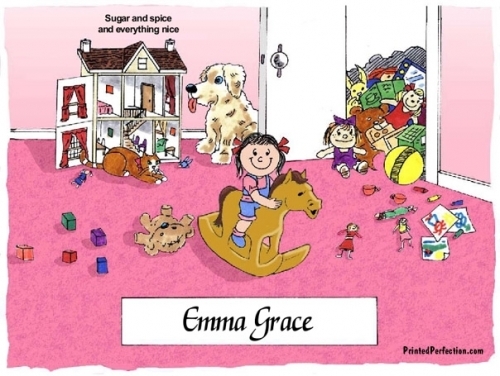 Little girls love to see their name in print!